Improve the texture and tone of your complexion with The Ordinary Azelaic Acid Suspension 10%, a brightening and balancing serum that boosts cell turnover. 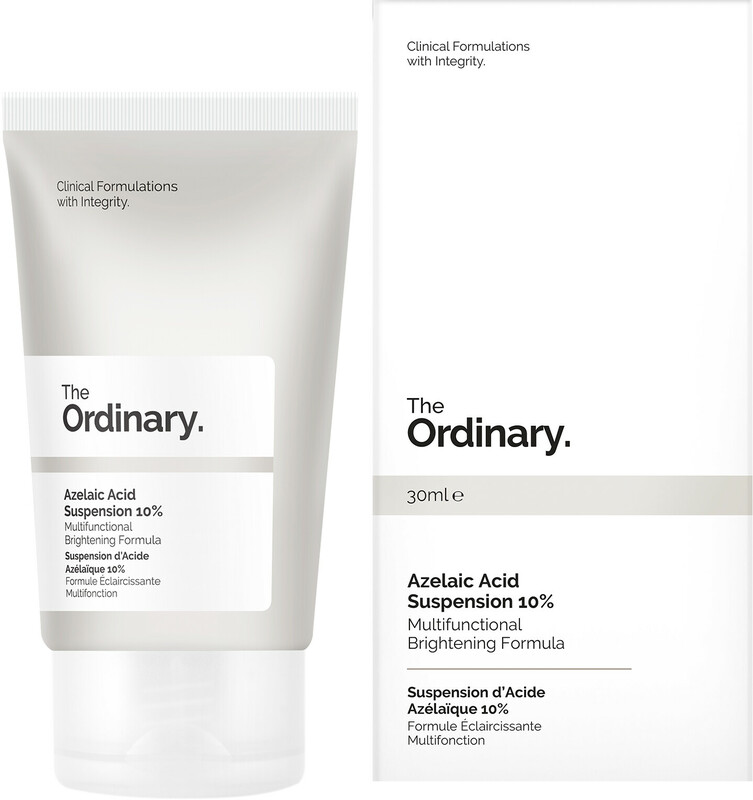 Specifically created for those who want to diffuse acne, clear rosacea and re-balance irregular skin texture, The Ordinary Azelaic Acid Suspension 10% will smooth away spots, pimples and areas of concern with its efficient gel-cream formula. Infused with 10% azelaic acid that’s suitable for all skin types, this skin-clearing treatment reduces swelling and irritations. Apply every morning and evening to clean skin before the application of your favourite moisturiser. Do not apply around the eye area. Use sun protection throughout the day. Free from alcohol, oil, nuts, cruelty, fragrance, parabens, sulphates, mineral oil, methylchloroisothiazolinone, methylisothiazolinone, animal oils, benzalkonium chloride, coal tar dyes, formaldehyde, mercury, oxybenzon. Vegan. 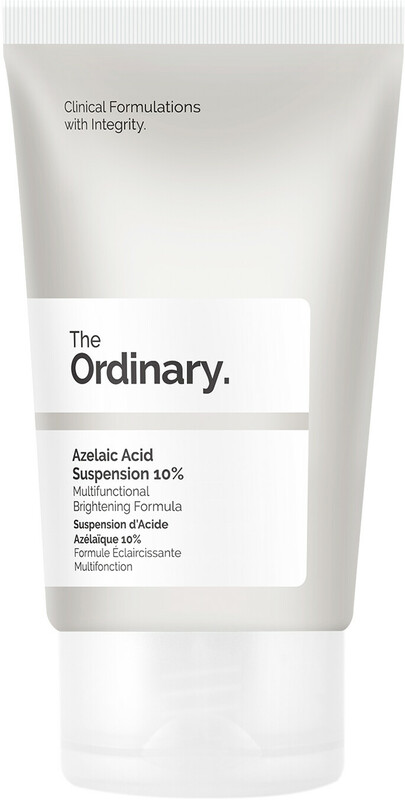 The Ordinary Azelaic Acid Suspension 10% 30ml is rated 4.7 out of 5 by 6. Rated 4 out of 5 by Tellytubbies from Cleared spots Skin is much smoother and I have not had a spot for over two weeks! I occasionally get spots on my chin but the serum seems to have helped. My only problem with this product is it’s small. Even though you use a small amount it’s almost finished. Rated 5 out of 5 by Sally321 from Battle uneven skin I have acne caused by PCOS and hyperpigmentation on my face I’ve been using glycolic toner and peel from TO as that’s worked in the past when it wasn’t as easily available However reading the other acids in The Ordinary I thought I’d give this a go? So far so good ..it hasn’t broke me out slight tingling when you put it on ...it’s a slow process and I’m hopeful as my skin is shiny and refreshed when I wash it off in the morning? Rated 5 out of 5 by raine104 from Azelaic acid The “Ordinary” make was recommended to me by a friend. I wasn’t happy with the redness in my skin. I apply this once a day in the evenings and I can see a real improvement. The cream has a nice silky texture and not much is needed as the consistency is thick. Rated 5 out of 5 by SC27 from Great product I have sensitive, combination skin prone to redness. Although this does 'tingle' a tiny bit when applied I find my skin feels soft and smooth after application. I haven't had any bad reactions to it yet and although I have only been using it for a month in combination with other The Ordinary products, I have noticed improvements already. Would definitely recommend!